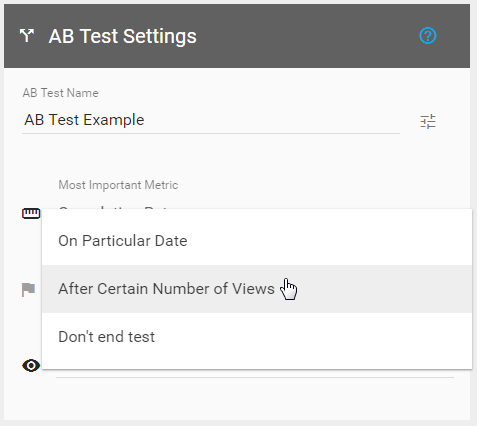 The A/B Testing module is a great tool for comparison of different settings on your videos in order to find out which approach is most engaging to your customers. It allows you to test differences between your various Poster Images, Content of the video, Times in which you show an Optin-Box and anything you can think of. 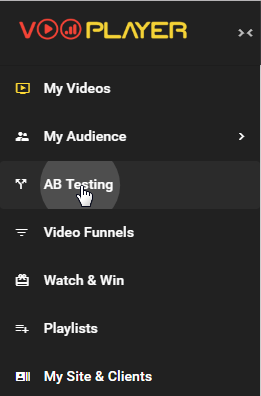 Go to A/B Testing, click NEW AB TEST, type in the name and hit CREATE A/B TEST. Select desired videos and add them to your AB Test. Choose Most Important Metric as Completion Rate, Play Rate Opt-ins or Lock Conversions. 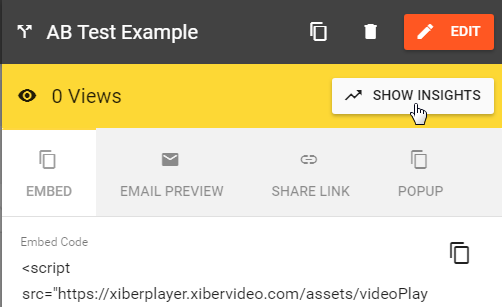 In vooPlayer 4 you'll also have the option of creating your own percentage of video loads. This means your video doesn't have to be played with 50/50 ratio. When your AB Test is over, vooPlayer will give you the exact ID of the winner video. You can always see analytics for your test by clicking on the corresponding analytics arrow icon. It will give you results on engagement, video completion, opened opt-ins or locks.